Time is running out to enter this year’s CIPD Northern Ireland HR Awards. 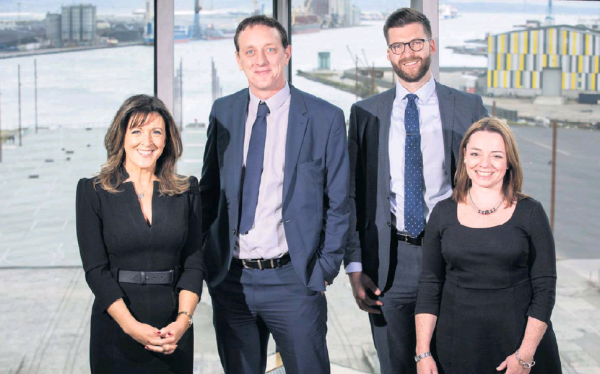 Now in its seventh year, the CIPD NI Awards celebrate the contribution of HR and people management to the success of businesses of all sizes in Northern Ireland. Almost 400 HR professionals attended last year’s awards ceremony at Titanic Belfast, with the CIPD reported a 41% increase in number of entries received. Ryan Calvert, Manager of Human Resources, Legal and Compliance recruitment at headline sponsor, MCS Group, believes that entering the awards can be a great way of promoting an organisation. Nijobfinder is once again media partner for the awards. Head of Digital Classifieds, Mark Reilly said: “The CIPD NI Awards night is a great occasion for HR and L&D teams from across Northern Ireland to come together to recognise the contribution that they have made to the success of their organisations over the past year. The CIPD NI Awards include awards for outstanding individuals and teams, and for initiatives that have made a real difference including categories for employee engagement, talent management, change management, health and well-being learning and development, and diversity and inclusion. Full details of all 10 award categories, and what the judges will be looking from the winning entries are available at cipdniawards. co.uk. Entries close at midnight on Sunday, February 17.